Yet another mall across another mall. Manila is a land of malls. The Philippines is, actually. I’m right now in the retail and manufacturing industry. One of initiatives is to look beyond major cities around the country since it’s nearing its saturation point. I was surprised to know that even in the provinces, local mini-malls/department stores are thriving. These are the areas not yet invaded by SM, Ayala and Robinsons. But you guessed it right, these three will all be there in no time. 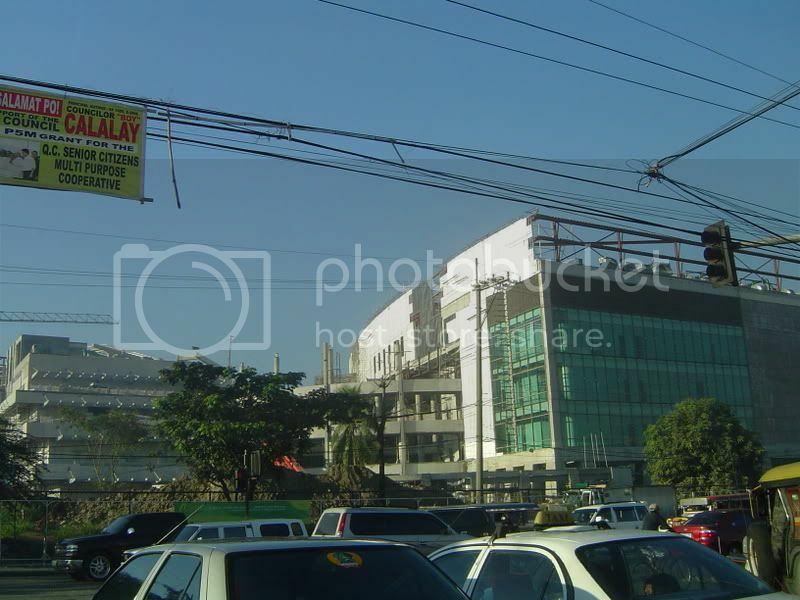 Anyway, picture on the left side of the post is the ongoing 200,000-square-meter-connecting -to-the-MRT Ayala Mall, their first in Quezon City, opposite SM North, called Trinoma. By the way, The Block which is a part of SM North though a bit upscale compared to their main mall was finished last year to compete with the ‘high end’ projection of Trinoma. Trinoma – they should think of a better name. I am not sure which is correct, Triangle North of Makati, Triangle North of Manila – I keep on hearing and reading these two. It used to be Ayala North Triangle Mall. Whew! But anyway, all names don’t sound good. From what I know, the area of Trinoma was originally intended to be a parking area for those with private vehicles to encourage them to use the MRT which in effect would help decongest the traffic in major thoroughfares. Well, I believe, the opposite is bound to happen – human traffic and vehicular traffic will be a common scene once this mall is done. But then, I don’t think anyone is complaining. Mall rats. We basically love malls to bits if only to serve as an airconditioned parkway from building to building like what we have in all the malls in Ayala.